Resolution of Retail Fraud Offenses in Macomb County District Courts: Dismissal is an Option! Isolated Incident: Our typical client charged with retail fraud is a female without any prior record. 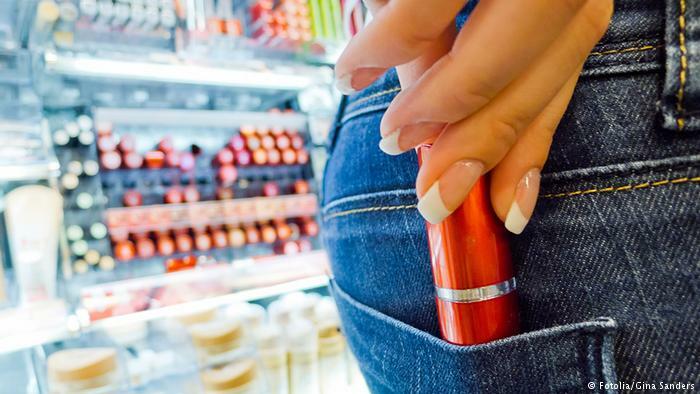 Merchandise such as lingerie and cosmetics are are popular items taken by because they are more easily concealable. We are seeing more retail fraud crimes by attempting to deceive self-checkout bar code scanners. Many of our clients who have been accused of retail fraud have made legitimate purchases at the same time while at the retail establishment. The value of the property taken is under $200.00. Retail fraud crimes can be charged as a felony or misdemeanor and are classified by the value of the property taken or whether the offender has a prior record. A prior record for larceny, false pretenses or a prior retail fraud may result in enhanced penalties. Triple Penalty: In addition to the above penalties, the court has the option to impose a fine, or a penalty up to 3x the amount of property or money attempted to be misappropriated, whichever is greater. Civil Demand Letter: The retail business may send a letter requesting up to $200.00 from the alleged offender even before the case is within the court system. The criminal retail fraud matter will not be dropped just because this amount is paid. The civil demand for money and the criminal proceedings are separate and distinct matters. There are some reoccurring reasons as to “why” a person commits a retail fraud offense. Shoplifting is not limited to those that are downtrodden and underprivileged. In general, our clients are usually the kind of people that have never been in trouble and their conduct can be described as an isolated incident. In extreme cases, we have also represented those that suffer from a compulsive shoplifting disorder. It is our job to work with our clients to understand why a client engaged in risky behavior so that we can provide effective legal representation and solutions. Impulsive behavior: Impulsive conduct, or acting before you think, is also high on the list of reasons that a person engages in the offense of retail fraud. Impulsive behavior is not limited to juveniles or youthful offenders. Our Macomb County criminal defense lawyers have represented individuals in every age group and every walk-of life including senior citizens and mini-van-moms who site impulsiveness as a reason for committing an act of retail fraud. Prescription medications and drug addiction: Prescription medications for psychological disorders can sometimes cause irrational behavior which leads to a person to commit retail fraud. In these cases, we recommend that our client get a current medical examination and consider engaging the services of a counselor. Drug addicts may commit retail fraud because of financial reasons or to resell goods to fund a drug habit. Again, getting as much background as possible and taking proactive measures before court can make a vast difference in the outcome of a case. Macomb County Courts: Getting a second chance! The prior criminal record of the offender. The value of the property stolen can make a minor retail fraud offense into a felony. The proactive measures taken by the offender prior to the first court date. When a client has never been convicted of a crime, we may be able to advocate for a plea bargain to obtain a first offender program (such as HYTA) or petition for a delayed sentence which can result in dismissal of the offense. When someone is charged with felony retail fraud in the first degree, our goal may be to avoid jail and a felony conviction. Our experience has been that most retail fraud cases are resolved favorably by knowing our courts and knowing our clients. ABDO LAW provides comprehensive representation for all adults and juveniles charged with any felony or misdemeanor including retail fraud, larceny, false pretenses, embezzlement, uttering and publishing or credit card fraud. Serving all courts in Macomb, Oakland, Wayne or St. Clair County.